The Vogue Ball, project managed by our very own Darren Pritchard is organized by the House of Suarez, and Darren Suarez, Artistic Director. 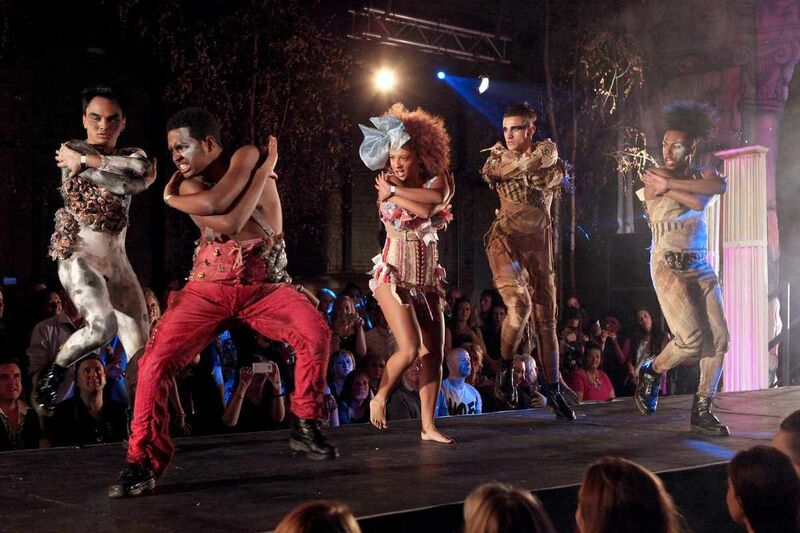 The ball, which since its inception in 2010 has evolved from cult underground event to sell-out sensation, took place at the Camp and Furnace 5th October 2013. Inspired by the legendary vogue balls that began in late 1970s New York, Liverpool’s Vogue Ball combines both club culture and high art, with a selection of Vogue teams (known as ‘houses’) coming together from far and wide with the ‘House Of Chocolate’ travelling all the way from Holland to compete for dance supremacy, and to flaunt lavish and creative costumes. The event attracted hundreds of crowds including the Lord Mayor of Liverpool Gary Millar, who has since invited House of Suarez team to dinner in November. It was clear to see that the event pushed all creative boundaries including set design, costume, hair and special effects make-up. The elongated lines and stretched limbs enhanced the exquisite dance routines culminating ballet, street contemporary and gymnastics. The professional dance teams left the crowds wanting more.